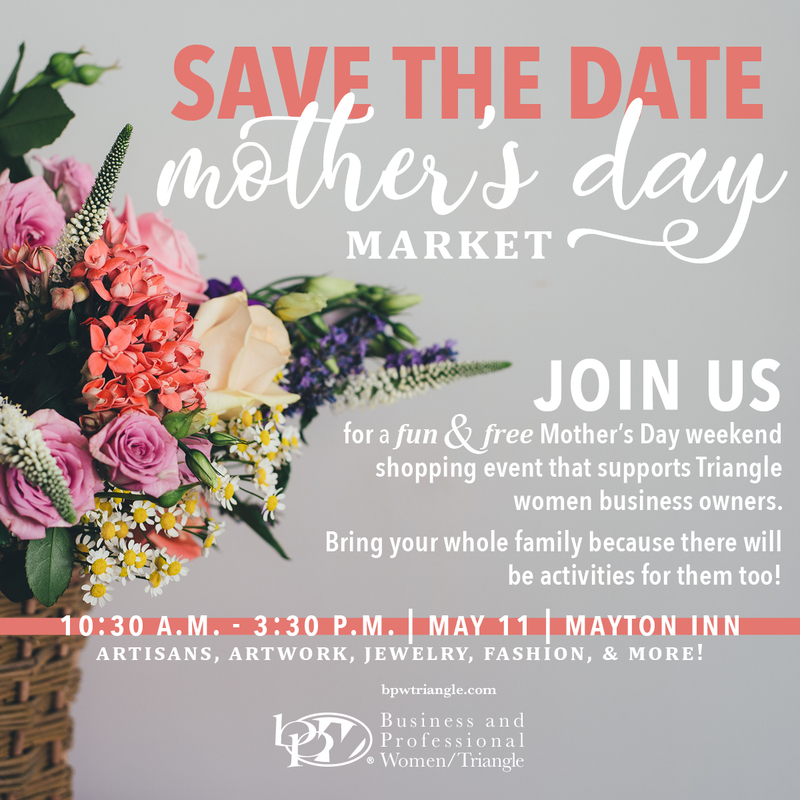 On May 11, 2019, BPW/Triangle Foundation will present the first annual Mother’s Day Market at The Mayton Inn in Cary, North Carolina. The event will feature over a dozen women-owned businesses from the Triangle and will provide an exciting opportunity for moms to enjoy a family-friendly shopping experience on Mother’s Day weekend. Your support of the Mother’s Day Market will support the mission of the BPW/Triangle Foundation and will recognize you as an active supporter of women and women-owned businesses in our community. This is a free event for the community and a fundraising event for our organization. Although free to attend, please register so we can plan better!